“Changes that happen in the world lead us to the conclusion that we must intensify and deepen our cooperation in the region of Southeastern Europe,” Foreign Minister Nikos Kotzias said on Friday during his opening speech at the 3rd Ministerial Meeting of Greece, Albania, Bulgaria and FYROM, held in Thessaloniki. Referring to the four countries participating in the meeting, he said he needed to further develop connectivity and cooperation, with two goals: that Albania and FYROM join the European Union and prepare for their co-operation within the EU. 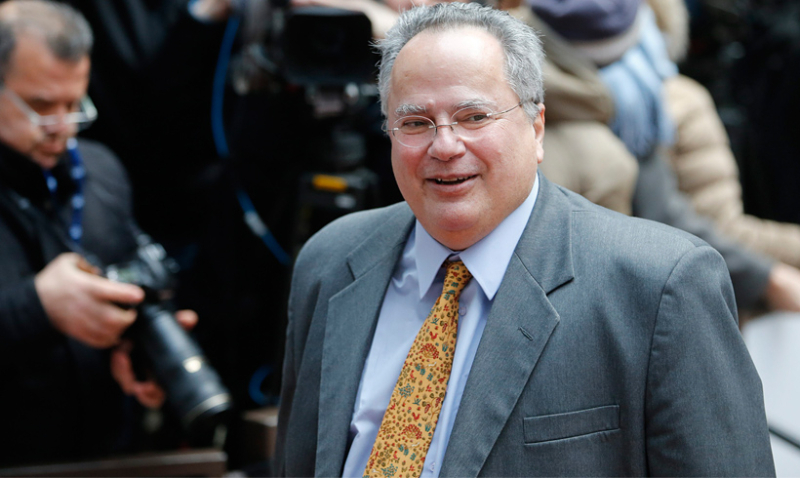 Kotzias expressed his satisfaction that the initiative for the ministerial meeting of Greece, Albania, Bulgaria and FYROM – which started on the Greek side 2.5 years ago – has become an institution and has been extended with the participation of other ministers, aside from the foreign ministers of the four countries. “It has become a common ground of our coexistence, where we can exchange views honestly, directly and with sincerity, as we always do. And in a way that would good for another part of Europe to adopt, which converses more bureaucratically than creatively. We have problems, but we cannot develop our relations by covering them up. What we are doing, by discussing them, exchanging thoughts, criticisms and comments, helps us solve problems and make progress,” he said. Kotzias proposed extending cooperation between ministry services on refugees and migration and for developments in Europe, the Middle East and the Arab countries. Regarding Syria, he said that it is not a real civil war since it also involves another nine powers, in addition to Syrian forces. He voiced his concern that Syrian law does not provide protection for the property of some 14 million refugees who have left the country and thus raises obstacles to their return. Kotzias pointed out that Turkey’s presence in Afrin calls into question the Treaty of Lausanne on its eastern border, and this is a matter of concern to several countries, including Greece. The Greek foreign minister called for closer cooperation between the four countries on handling refugees and guarding borders, while he also proposed partnerships in several areas, such as between universities and research centers through the joint organisation of conferences and other events. He further referred to a positive agenda for cooperation in energy and infrastructure. During the meeting, Kotzias will have bilateral meetings with Albanian Foreign Minister Dmitry Bushati, Bulgaria Foreign Minister Ekaterina Zaharieva and his FYROM counterpart Nikola Dimitrov.